Katarina (played by Aidrienne Hill) was the slave girl and spy of the Trojan princess Cassandra, who the First Doctor met during The Myth Makers – 1965. During the Greek sacking of Troy, Katarina helped an injured Steven escape into the Tardis. The simple Katarina did not take well to time-travelling, believing that they had infact died and gone to the Trojan afterlife. Katarina accompanied the first Doctor and Steven, for a short time but in The Daleks’ Master Plan – 1966 she was taken hostage in spaceship airlock by a convict called Kirkson. Rather than submit, Katarina activated the airlock and blew them into space and to their deaths. Dorothea “Dodo” Chaplet (Jackie Lane) first met the Doctor in The Massacre Of St Bartholmew’s Eve – in London 1966. She was a descendant of Anne Chapolet from 16th Century France, whom the Doctor and Steven had met prior to Dodo. Dodo was the fourth female human to travel with the Doctor (after Susan, Barbara and Vicki) and the Doctor was particularly drawn to her, as Dodo reminded the Doctor of Susan. Dodo was an impressionable young girl and wasn’t particularly bright or gifted – as Susan. However, she was progressive and modern, having been raised in Swinging London and took to time-travelling well. Her early life was not detailed but she had grew up in London, prior to moving to Paris to live with an affluent aunt, who schooled Dodo and travelled with her. So when the Doctor visited 1880’s – Tombstone, Arizona in The Gunfighters – 1966, Dodo had already visited in an earlier time period. Therefore, Dodo was well acquainted with American culture and custom. It was Dodo, who infected the unfortunate future human race (on a starship enroute to a new homeworld), with the cold virus in The Ark – 1966. The humans had long since banished all germs and they had no immune response, so were struck down terrribly with this deadly new plague. 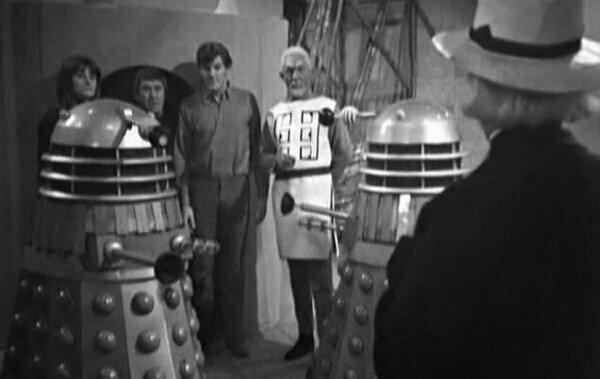 The Doctor, Dodo and Steven were tried by the humans – as saboteur’s. After Steven left the Tardis. Dodo travelled alone with the Doctor for a while. Where she met new companions Ben & Polly in The War Machines – 1966, in a 1960’s London nightclub. After having her mind controlled by the WOTAN computer, to betray the Doctor. Dodo was sent to the country to recuperate and decided not to return. Therefore, Dodo sent her Tardis key – to Polly & Ben; who upon returning it to the Doctor, ended up travelling in Dodo’s place; by accident.